The celebrations might be over but Christmas isn’t officially finished till all the decorations have been put away and… you’ve eaten all of the Christmas Cake! 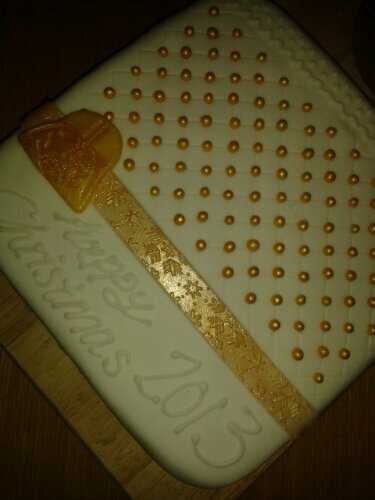 I love a rich fruit cake and our Christmas cake is the only cake that I spend 2 months loving crafting. Feeding the cake is fun and seems to be a challenge to get as much alcohol in it as possible. This year our cake was drowned in brandy. I really wanted to spend a lot more time decorating our cake after spending so much time making it but like everyone else I came down with a winter cold. Suddenly my plans became a rush to try and get the cake decorated so it was at least covered. I went for a simple design and decided to make it a bit more personal with a little Darth Vader head. Next year I will think a bit more of the design but I was just glad to have something done.